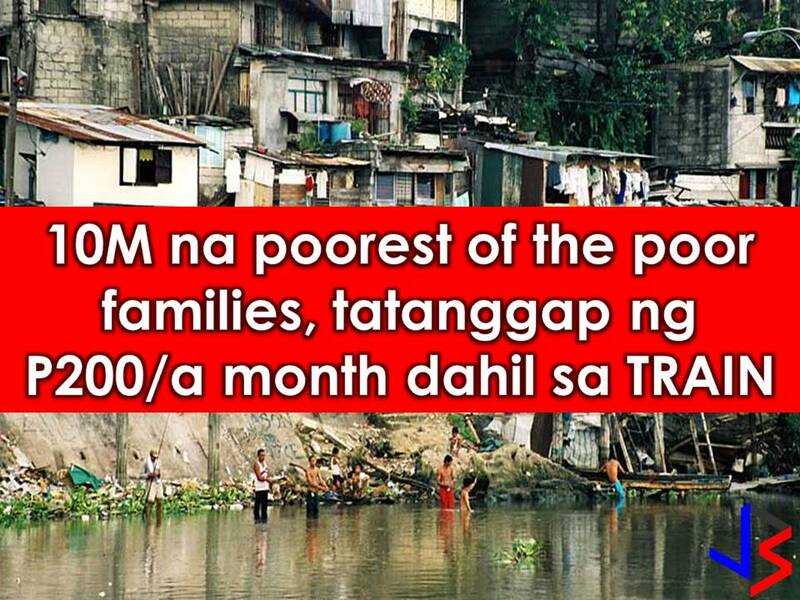 Starting next year with the implementation of Tax Reform for Acceleration and Inclusion (TRAIN), 10 million poorest households will get P200. 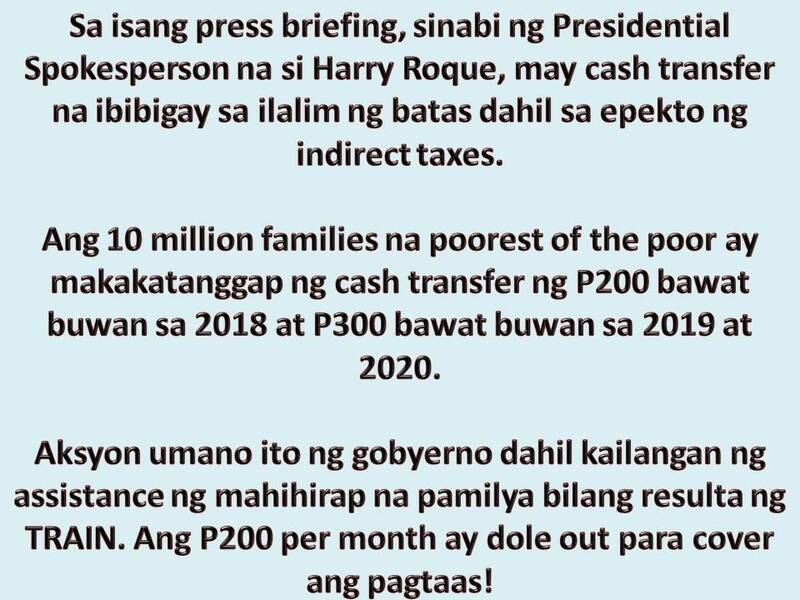 In a press briefing, Presidential Spokesperson Harry Roque said, there is a cash transfer provided in the law due to cushion impact of indirect taxes. Ten million households will receive cash transfer of P200 per month in 2018 and P300 per month in 2019 and 2020. He said this is government mitigation because poorest household will need some kind of assistance as a result of TRAIN. Roque said the P200 per month is a dole out that will cover the increases. "Many of the new excise taxes would not really amount too much because really, the amount of taxes that you pay is dependent on your consumption as well and if you are marginalized, the consumption is very low," he said. In a statement, Workers’ group Associated Labor Unions-Trade Union Congress of the Philippines said that around 15.6 million most vulnerable underground economy workers would suffer more once the TRAIN would be approved and implemented in 2018.